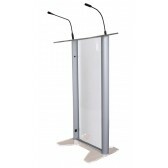 Are you having speeches at your next event that would benefit from a lectern hire? 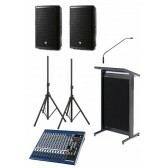 Lectern hire benefits everyone involved during an event. The speaker is able to comfortably place their speech cues in front of them, the audience has a sense of where to look when the speaker is addressing them and it increases overall attentiveness since the speaker is more effective. 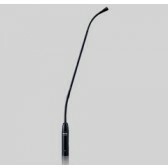 It is almost a must have for any formal or semi-formal speech for small or large audiences. 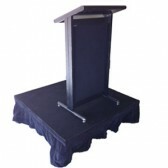 Our event equipment suits corporate lectern hire with our sought after black Lectrum lectern hire item. 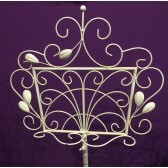 If you are after a classier, high value feel lectern hire such as for wedding lectern hire then our Glass Elite lectern hire product is for you. 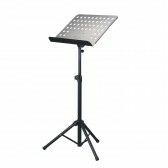 Each lectern hire item we offer presents a different response from the audience. 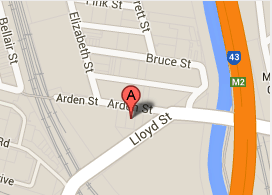 We know, it's what we do. 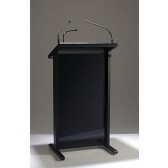 If it's a corporate/formal event go for the valued Australian made black Lectrum lectern. If it's a stylish event that you/client wants the eyes on the glamour of an event then the Australian made glass lectern hire product would suit best. 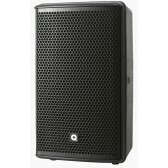 Here at Wwave we have a range of lecterns and other equipment available to suit all your audio visual hire needs.